Providing Quality, Reliable Service Guaranteed! When you work with us you get professional installation done right every time. Guaranteed. Got a problem? Call us! 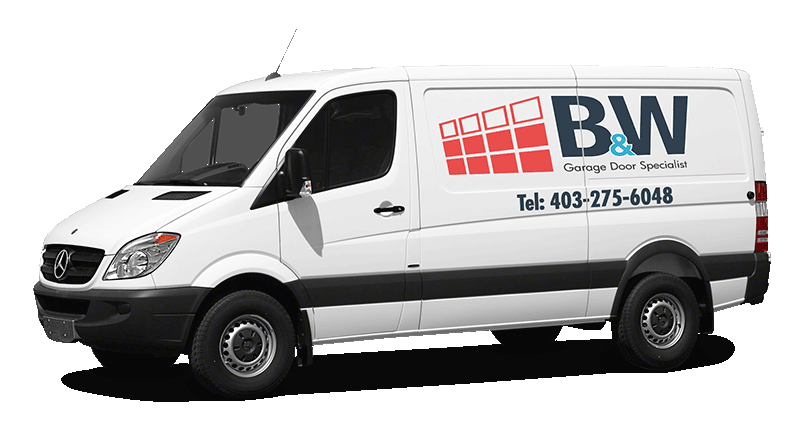 We provide same day service and maintenance throughout Calgary.. The problem was identified quickly, reasonable quote was made and the repair was completed in under 2hours. Great service!Great service! After a long day of work I came home to open the garage with the remote and something funny was happening to the door. It was only opening quarter way. I tried playing around a few times but nothing was happening. At the end I heard a loud snap.. I was getting frustrated that it wasn’t opening and I had no choice so I contacted this company on Google because I needed to park my car in the garage. The dispatcher was very nice and knowledgeable and knew what was wrong and dispatched someone to help me immediately. The technician arrived in about 30 minutes and was able to open the door and replaced a few springs and was finished within the hour. The most remarkable service I’ve seen in my life. Thank you guys for coming out in the middle of the evening. I have this garage in the back of my drive way that I haven’t touched for 15 years. The other day I ran into some tenants downstairs and they wanted to use the garage to park their car. I decided to check the garage and see if everything was okay. I tried the key but it wouldn’t budge. I guess over the years it was corroded. There wasn’t a side door that I could open which was a stupid design of the garage. A friend of mine used this garage door company that he used a few months ago and I decided to give it a try. To my surprise they answered right away and had someone available to help me. Two gentlemen arrived at my house with a fully equipped van and suggested me to replace the garage door because it was very damaged due to the corrosion. Their prices were more reasonable than other companies that I called to compare with. Everything was done on the same day, they provided me a beautiful new door for a very great price. I recommend everyone who needs garage door experts to contact these guys. They helped me a lot and with a quick response time. Great job. My son was smart enough to drive into the garage and damaged the panels. I thought I would have to spend an arm and a leg to replace the whole thing. I called a few companies who told me that I had to replace the whole thing. However I called this company and told me they could save me some money by being able to matching the finish of the panels and replace the damaged panels. They came in the same day and were able to fix it all without replacing the entire garage door. I give them two thumbs up. My partner and I just recently moved into a new property and we were not to found of the decision of the past owner of the finish of the garage door design. I wanted something that had wooded décor finish. I wasn’t sure where to look – I tried Canadian Tire and didn’t agree on the pricings that they offered. I found this company from our friends who were also new home owners. They told me to contact this company who were local in Calgary and have been working for decades. Great company. Garage would not open on a Saturday morning. Alex came within 2 hrs of my initial call. He explained why the door wasn't working and the best option for repair Work was completed within 1 hour of his arrival. Door works better than it every did. I was contacted quickly and an appointment was made. 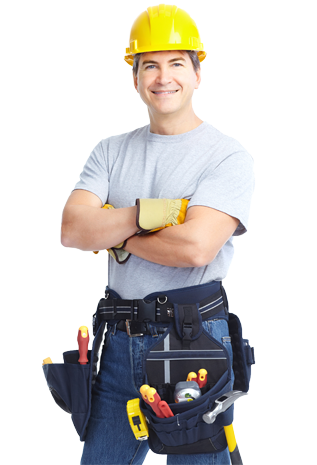 He arrived on time and did the replacement in an efficient manner and at a reasonable cost. I am pleased with the service and happy to recommend to anyone else. I called B&W and within an hour I had a service tech “Uzi”at my home. Uzi looked at the garage door and informed me that he thought the sensors were the issue. He left and came back with the new sensors which he installed. From my initial phone call to the completion was less then 2 hours. The overall cost of install was higher than other quotes I had received, as I knew the garage sensors needed to be replaced, however the other 2 places I called needed 3 days before they could make it to my home to take a look at the job. Overall satisfied. We called B & W when our garage door would not open and close properly. Within 30 minutes, B & W sent out a repairman (Uzi). Uzi was courteous, professional and took the time to explain exactly what needed to be done. He worked quickly and efficiently, and then once again took the time to make sure I was happy with the work that was done. I would definitely recommend B & W, and Uzi! Uzi came by right away and fixed our garage door quickly. He was honest and friendly and he took the time to do the job properly, even solving a couple issues I didn't even know were there. Seems like a good guy, would recommend B&W and Uzi. Went to use garage on a Sat and door wouldnt go up. Discovered broken spring above door. Called 3 places and left 2 messages and they were the only ones I got a person right away. They set up a technician to call us to set up appt, and I barely got off phone before Max called to set up repair 4 hrs later. He came out and did repair and was completely professional! The price quoted was very reasonable (as 1 of the other companies called me back a few hrs later and quoted a much higher price just to come and estimate). VERY happy with not only service and price, but Max's attitude and help! I will definitely use again and refer everyone here! Is Your Smart Garage Door Opener Compatible with iPhone and Apple Watch Technology?